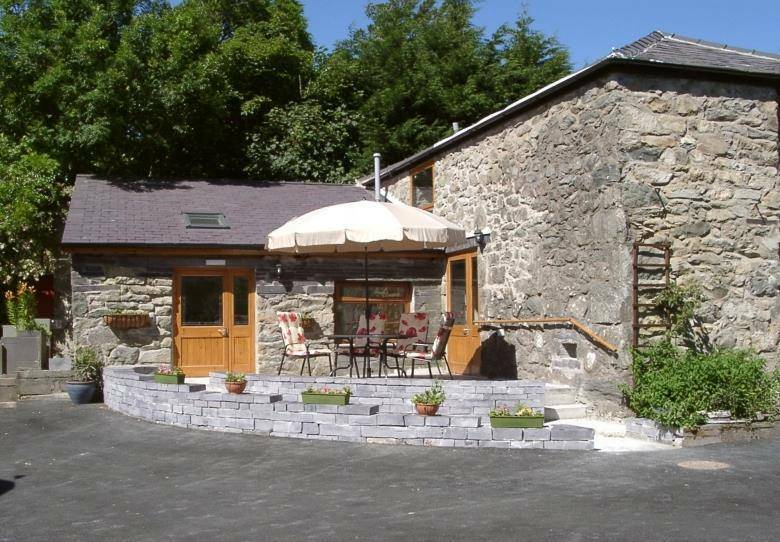 WALKS A pleasant three mile walk or bicycle ride along a track and a lane leads to Lake Ogwen between the Carneddau and Glyder ranges of mountains. From there, popular high level walks lead up to the summits of both ranges and also to favourite rock-climbing slabs. There are low level walks and bicycle rides in the vicinity, including the North Wales National Cycle path. There are classic mountain-bike forest rides in Betws y Coed, some 15 miles away. COASTAL FEATURES Two photogenic bridges cross the Menai Straits to the beaches and coastal path of Anglesey. Sea fishing is also available as are most water sports. OTHER PLACES OF INTEREST Well preserved historic castles can be visited in Caernarfon, Beaumaris and Conwy. Sites along The Pilgrims Way to Bardsey Island, National Trust properties and Gardens (including Bodnant) can be visited. Trips can be arranged on several narrow gauge railways through spectacular scenery, including the rack railway up to the top of Snowdon. 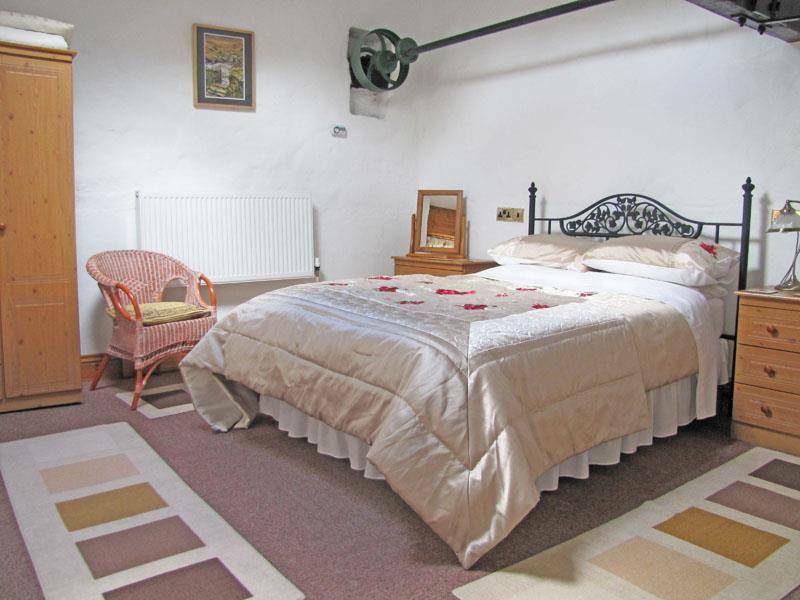 Refurbished 5-star rated self-catering cottage with wheelchair access suitable for either an able-bodied family or 1-2 mobility-impaired residents plus their carer. 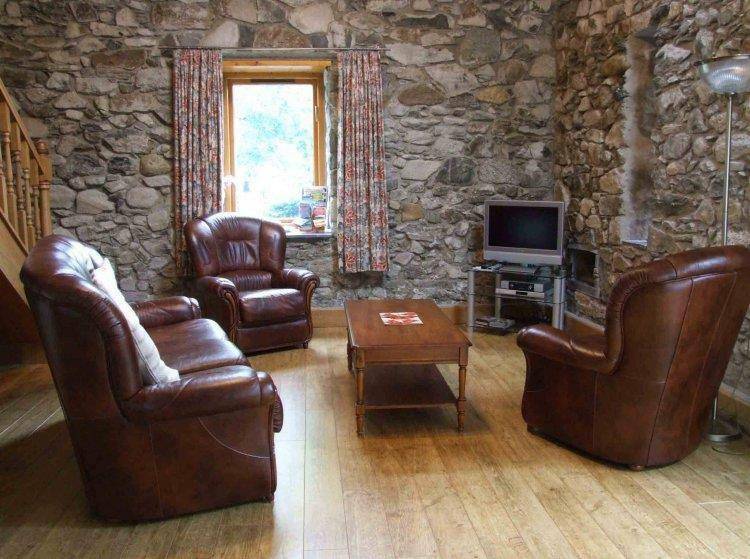 Hafan is built of traditional stone and oak with a lovely character of its own. It has been configured to be especially wheel-chair friendly but is equally suitable for the able-bodied.. A ramp to a slate patio with garden furniture leads to ground-floor accommodation of kitchen/dining room, lounges and a double bedroom. There is level access to gardens and a small lake. 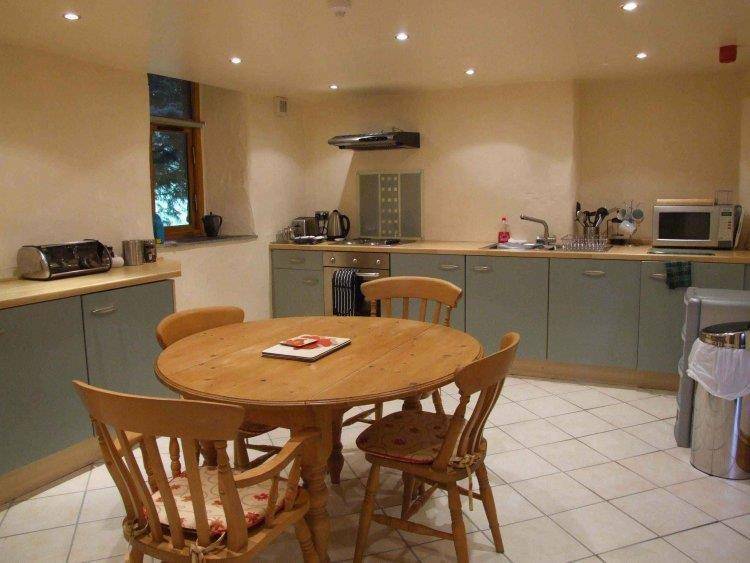 Ground-floor accommodation consists of kitchen/dining room, lounge, double bedroom. 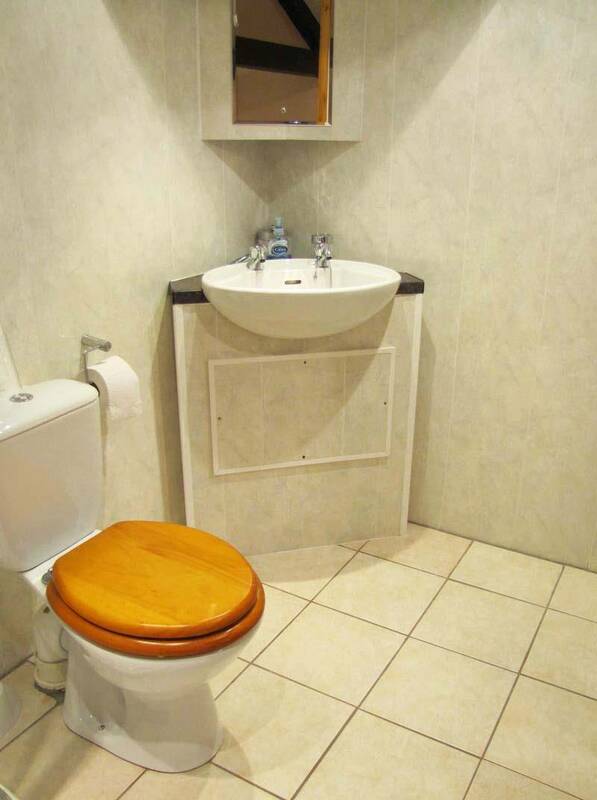 An en-suite bathroom has a shower and toilet. 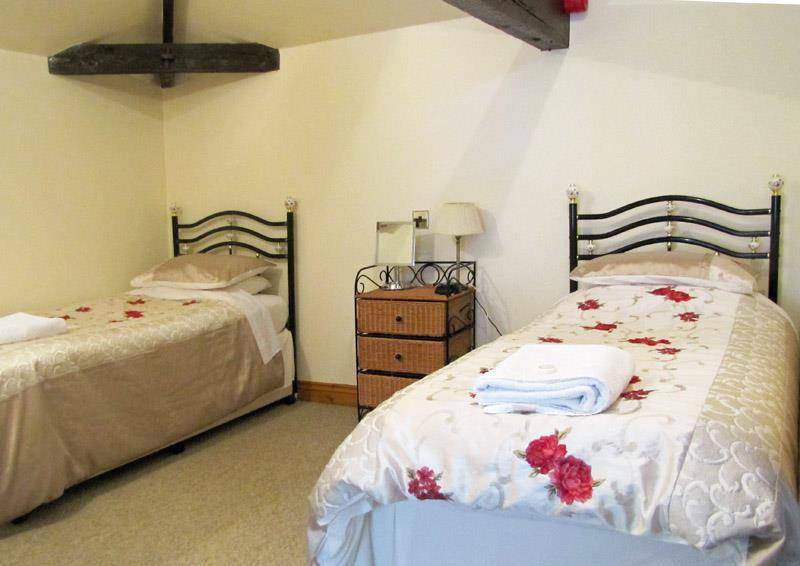 There is a twin-bedded en-suite bedroom on the first floor. No smoking permitted. 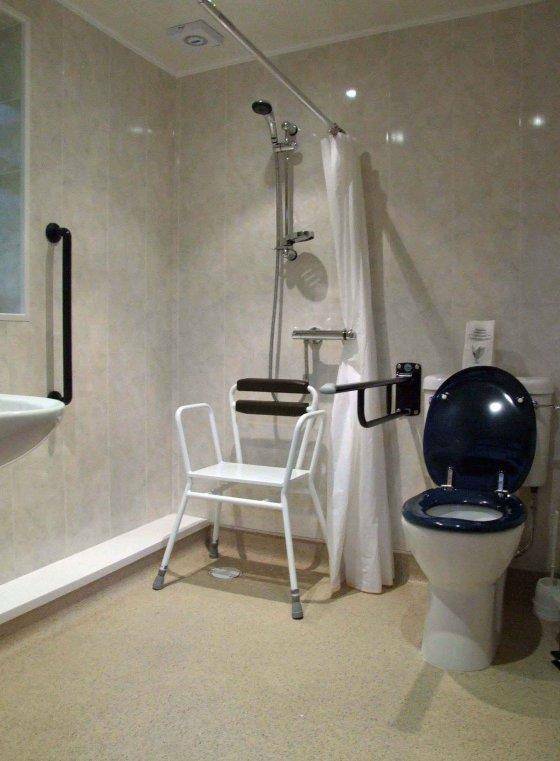 Lower en suite bathroom with wheelchair access. Adjacent parking area gives convenient access.